NiCHE actively supports those interested in transnational ecologies and welcomes members interested in a wide range of fields related to environmental history and geography. Membership is free and you can sign up by visiting our registration page. Members can read relevant news as well as post their own for members of the community. NiCHE also provides a number of funding opportunities and workshops throughout the year. If you would like to include your profile on the Transnational Ecologies project page as well, you are warmly invited to contact us with your details at: niche.transnational.ecologies@queensu.ca. NiCHE soutient activement tous ceux qui s’intéressent à des sujets d’écologie transfrontalière et accueille avec plaisir les membres œuvrant dans les divers champs reliés à l’histoire et à la géographie de l’environnement. L’adhésion est gratuite. Vous pouvez vous inscrire en visitant notre page d’adhésion. Les membres ont accès aux nouvelles pertinentes dans le domaine et ont la possibilité de mettre en ligne leurs propres annonces à l’attention des membres de la communauté. NiCHE offre également un certain nombre d’opportunités de financement ainsi que des ateliers tout au long de l’année. Si vous souhaitez diffuser votre profil sur la page Internet du chantier « Écologies transfrontalières », nous vous invitons à nous faire parvenir tous les détails à l’adresse niche.transnational.ecologies@queensu.ca. Cultural politics of nature, Historical geographies of nature, Race and nature, Environmental governance and identity, Politics and forest conservation. My research examines how people imagine themselves in relation to ‘nature’ and with how these relations translate politically. This work focuses on the cultural geographies of nature, and is organized around two closely related investigations, one theoretical and the other empirical. My main theoretical concern has to do with postcolonial geography, the cultural politics of nature and space in Canada, and with understanding how ‘nature’ is intimately connected to the lived experience of political and national identity. Empirically, I have been concerned with contemporary boreal forest politics in Canada and, more recently, the historical geographies of the Canadian city in relation to nature and multiculturalism. I am currently working on a SSHRC-funded project called Rethinking the Great White North, which addresses the intersection of ‘race,’ nature and north as a major theme in contemporary debates about Canadian geography and identity. My research is theoretically informed and draws extensively from postcolonial theory, critical ‘race’ theory and geographic theorizing on nature and space. My doctoral research examines the materiality of stories relating to the Central Canadian Arctic and their contribution to historical and contemporary Arctic geographies. Grounded in a study of stories about Bloody Falls, a point along the Coppermine River near present-day Kugluktuk, Nunavut, the project brings together critical cultural geographic theory, anti-racist research methods, archival research, and extensive fieldwork in the region to make sense of Inuit and non-Inuit relations, colonial and postcolonial geographies of the Arctic, and contemporary political, economic, environmental, and cultural change. I have been investigating transnational ecological knowledges in the Central Arctic and Sub-Arctic through a recent project in partnership with the Tahiuqtiit Society in Kugluktuk, Nunavut. We are editing a video recorded in Kugluktuk during a 2008 meeting between Inuit and Dene delegations from the Sahtu and Tli Cho regions. The meeting emphasized transnational cooperation, trade, and ecological knowledges in the region. co-organizing the Rethinking the Great White North workshop held in Kingston February 1-2, 2008.
performing with Matt Rogalsky in the networked piece Transnational Ecologies 1: Sounds Travel. working to link communities in the Americas through the migratory species they share. Carlos Chacon was born and raised in Costa Rica. Since he was 12 years old, he has volunteered for various nature-related organizations. His fascination with nature led him to study Tropical Biology at the University of Costa Rica. After graduating in 1996, Carlos began working as a nature guide, since then, he has been leading nature trips. These have varied from bird watching and butterfly watching to whale watching along both coasts of Central America. Through his work in Central America, Carlos has led tours for the World Wildlife Fund, Linbdlad Expeditions, Mountain Sobek Travel, Tauck Tours, Thompson Family Adventures and several other international travel companies. In 2000, Carlos moved to Hilton Head Island, his wife’s home. Since moving to the Lowcountry, Carlos has worked as a kayak guide in the marshes of Hilton Head and as an Alligator tour guide in the Sea Pines Forest Preserve. In 2007, Carlos received a M.S. in Earth and Environmental Resources Management from the University of South Carolina. In 2005 Carlos joined the Coastal Discovery Museum as the Manager of Natural History. Carlos resides in Bluffton with his wife and two sons, six year-old David and four year-old Marco. Cushman, Gregory T. “‘The Most Valuable Birds in the World’: International Conservation Science and the Revival of Peru’s Guano Industry, 1909-1965.” Environmental History 10, no. 3 (July 2005): 477-509. Also available athttp://www.historycooperative.org/journals/eh/10.3/cushman.html. Research summary: My background is in avian ecology and conservation. My current research includes examining offshore oil and gas activities and how they may impact marine birds, how the Migratory Bird Treaty Act is used in Canada, the recent history of waterbird management on the Toronto Waterfront and various biology-based studies on waterbird population dynamics in Ontario. I am interested in the ways in which migratory birds intersect with human lives from a critical historical geography perspective. My doctoral project, “Red coats and wild birds: military culture and ornithology across the nineteenth-century British Empire,” will interrogate the intersections between military culture and the practices and ideas of ornithology in the Mediterranean region. The military and ornithological experiences of British military officers illustrate some of the ways imperial expansion provided opportunities for military men to map avian, moral, and racial geographies of the British Empire. Their positionality in different colonial places, and their interactions with Indigenous peoples, colonists, and migratory birds, provide an excellent opportunity for interrogating how territoriality, identity formation, colonial encounters, and networks emerged “trans-imperially” as officers moved from one site to the next. View Kirsten’s personal page at Queen’s University for more information. Brad Martin is a doctoral candidate in history at Northwestern University in Evanston, Illinois. His research interests include northern environmental history, arctic and subarctic indigenous peoples, this history of science, colonialism, tourism, and the political ecology of conservation. He is currently completing his dissertation, a study that highlights the transnational connections between aboriginal activists and state conservationists involved in debates over wilderness preservation in the Yukon-Alaska borderlands in the second half of the twentieth century. 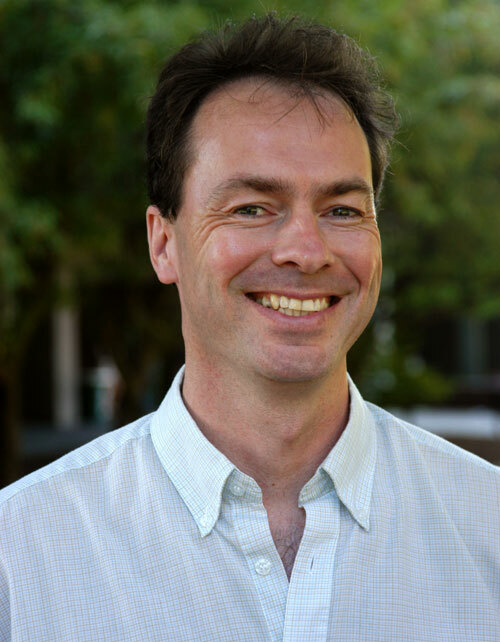 Brad serves as the co-director of the Northwestern University Environmental Field Studies Program and is the founder of the Northern Research Network, an online community that facilitates dialogue and collaboration among northern scholars in the humanities and social sciences. My research in Applied Ecology has always been a major motivation during my career and was the reason to initiate the project for my Masters thesis on effects of sewage on water quality and diatoms in two streams in the Central Valley of Costa Rica. Since then, my research activities have always been fostered by the strong interest in understanding the past and present ecology of aquatic environments. I have several years of practice in aquatic and terrestrial research working in a number of countries on three continents: University of Freiburg (Germany), Limnological Institute of Lake Constance (Germany), Technical University of Munich (Germany), University of Costa Rica (Costa Rica), Paleoecological Environmental Assessment and Research Laboratory (PEARL) at Queen’s University (Canada) and the Environmental Sciences Group in Kingston (Canada). My research specializations are in the fields of environmental biology, aquatic biology and paleoecology, investigating the complex interactions between aquatic biota and the environment and looking at applied aspects of environmental degradation. My research skills that have been applied to a range of independent and collaborative environmental projects evaluating the impacts of human activities on freshwater streams (Costa Rica), climatic change and natural disturbances on the Canadian prairies (PEARL), impact of industrial activities on the Kingston Inner Harbour (Lake Ontario, Canada). Recently, I have also broadened my area of expertise as an expert consultant engaging in studies that include new ways of conducting ecological and human health risk assessments, bioremediation, contaminant uptake in aquatic and terrestrial food chains, and the integration of Inuit knowledge in the development of environmental monitoring programs. I am involved in the NiCHE project ‘Connecting Communities Through the Birds They Share’. iLAND Interdisciplinary Laboratory for Art, Nature and Dance investigates the power of dance, in collaboration with other fields, to illuminate our kinetic understanding of the world. iLAND, a dance research organization with a fundamental commitment to environmental sustainability as it relates to art and the urban context, cultivates cross-disciplinary research among artists, environmentalists, scientists, urban designers and other fields. Matt Rogalsky is a composer, sound artist and musicologist who since 1985 has presented work regularly in performances and gallery exhibitions across North America and Europe. His academic background includes undergraduate studies in electroacoustic composition with Martin Bartlett and Barry Truax at Simon Fraser University, and an M.A. from Wesleyan University where he studied composition and sound installations with Ron Kuivila and Alvin Lucier, and researched the musical culture of the Merce Cunningham Dance Company. His Ph.D. from City University London (with Simon Emmerson) was a history of the Rainforest series of works by David Tudor, and an investigation of the social networks which made them possible. Rogalsky’s areas of research include histories, reconstructions and new performances of late 20th century electronic and experimental music. He has recently given performances of the music of Alvin Lucier, Phill Niblock, David Tudor, John Cage and Rhys Chatham. Recent writing has been published in Leonardo Music Journal, Canadian Theatre Review, Social and Cultural Geography, Public, and Musicworks. His installations and compositions often involve the exploration of abject, invisible/inaudible, or ignored streams of information, including that from ‘natural’ sources such as water, whales, birds and ants. An interest in networking a live performance around the world in real spaces and times led to the collaborative piece Transnational Ecologies 1: Sounds Travel (see ‘Past Events’ for details). Carol Weir owns a day camp for children ages 6-12 outside San José, Costa Rica. She is a former managing manager of The Tico Times, Central America’s largest English-language newspaper, and also works as a freelance journalist writing and translating articles about Costa Rica’s eco-tourism industry. My research addresses the environmental history of migratory bird management in western North America. My book manuscript, Elusive Sanctuaries: Refuges and Bird Migration in the West, examines the efforts of American and Canadian governments to chart bird migration cartographically and develop viable refuges for birds during their annual journeys. Trish Van Huesen is a visual artist whose work spans experimental film, painting and jewelry. Her films have screened internationally in festivals, cafes and museums. She is inspired by the natural world, and drawn to the concept of migration. Only relatively recently, I have recently started working on transnational environmental history, in particular the history of bird protection and the prevention of pollution at the European level. More generally, my research interest focuses on the history and politics of European integration in the post-war period in a comparative and transnational perspective. My PhD dissertation inquired into the history of the European public sphere and changes in European identity. As a Marie-Curie-Postdoctoral Fellow at the University of Portsmouth, UK, I am studying the origins of the European Union’s environmental policy, which started in the 1970s. Contrary to the traditional focus on state actors, this project assumes that informal networks of actors coalesced to shape and institutionalize the new policy agenda. These networks comprised actors from the European institutions such as the Commission or the European Parliament, some member states as well as NGOs who quickly realized the opportunities the new European level of policy making provided for environmentalist causes. This research is based on archival research, NGO publications and interviews. One of the two case studies of this project focuses on the origins of the EC birds directive of 1979. My research demonstrates that transnational cooperation among members of the European Parliament and bird protection organizations lobbying against the mass killing of birds in Southern Europe was central to placing the unlikely issue of bird protection on the European agenda. Expertise provided by traditional bird protection societies such as the Royal Society for the Protection of Birds – which started to collaborate transnationally – was indispensable for the Commission to convince the member states. Jan-Henrik Meyer (2010) Saving migrants: a transnational network supporting supranational bird protection policy in the 1970’s. In Transnational Networks in Regional Integration. Informal Governance in Europe 1945-83, edited by W. Kaiser, M. Gehler and B. Leucht. Basingstoke. Palgrave – forthcoming. Josephine Matyas has been trying to leave a small ecological footprint for decades. A graduate of the University of Guelph (Geography), Matyas works as a freelance writer specializing in travel pieces. Soft outdoor adventure, history and the great outdoors are those topics she never tires of exploring. 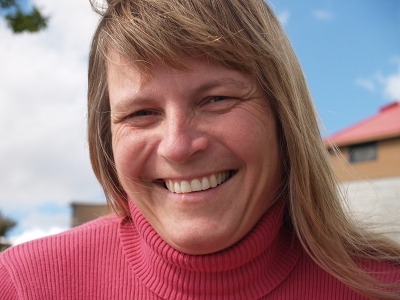 Robin Doughty attended colleges in Italy, England, and the United States. He received a doctorate in Geography from the University of California at Berkeley, and has been a member in the Department of Geography and the Environment at the University of Texas since 1971. Robin has a longstanding interest in wild animals, notably birds. He has written eight books, which include the feather trade and the origins of bird protection, recovery of the endangered whooping crane, the mockingbird as the Texas state bird, plus the impacts of early a settlers on wildlife in the Lone Star State. Recently, with co-author Rob Fergus, he has completed a book about the life history and human treatment of the purple martin published with the University of Texas Press, and has recently completed a book-length manuscript about conserving the albatross. A more detailed resume is provided below. 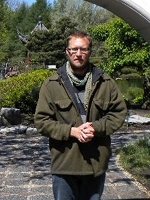 Mikko Saikku, Ph.D., is associate professor (university lecturer) of North American Studies at the University of Helsinki, Finland. He holds graduate degrees in history and North American Studies, and completed the bulk of his graduate work at the University of Kansas in ecology and environmental history. In his academic work, he has specialized in North American environmental history with an emphasis on landscapes and endangered species. 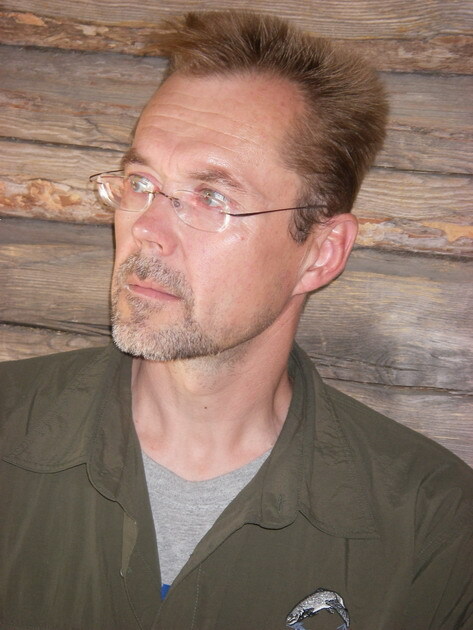 In 2002, he was conferred the first Finnish docentship in environmental history. His publications include This Delta, This Land: An Environmental History of the Yazoo-Mississippi Floodplain (University of Georgia Press, 2005) and Encountering the Past in Nature: Essays in Environmental History (Ohio University Press, 2001; co-edited with Timo Myllyntaus). He is a board member of the Finnish Society for Stream Conservation and past president of the Finnish American Studies Association. My previous research has focused on the role of natural history in North American cultures of colonization, the mutual constitution of race and landscape in Canada, and resource management implementation of Traditional Ecological Knowledge in Indigenous spaces of British Columbia. I am broadly interested in postcolonial and antiracist theoretical approaches to the socio-ecological processes of conservation, the interplay of race and nature in politics, and the roles of discourse, science, and technology in the materialization of environments. Though most of my research has focused on textual analysis, I have worked off and on for several years as a field ecologist and am interested in conducting ethnographic work on transnational and political ecologies of the production and migration of environmental knowledges. Forests, Peasants, and Revolutionaries: Forest Conservation and Organization in Soviet Russia, 1917-1927. Taylor, TX: East European Monograph Series, 2005. “Russian Compassion: The Russian Society for the Protection of Animals – Founding and Contexts, 1865-75. Forthcoming for 2010 in the Canadian Journal of History. “For the ‘Preservation of Friends’ and the ‘Destruction of Enemies’: Studying and Protecting Birds in Imperial Russia.” Environment and History 13 (2007): 71-100. “Nested Interests: Assessing Britain’s Wild Bird Protection Laws of 1869-1880.” Nineteenth Century Studies 19 (2005): 47-68. “A Revolution in the Forests? : Forest Conservation in Soviet Russia, 1917-25.” Environmental History 7.3 (2002): 411-34.